The Indian Premier League returns once again this year, with the promise of being bigger and better, not just in terms of cricketing action and entertainment but with an improved avenue of marketing opportunities that can help brands reach regional audiences, capture the attention of the mobile user and take over television sets all over the country. 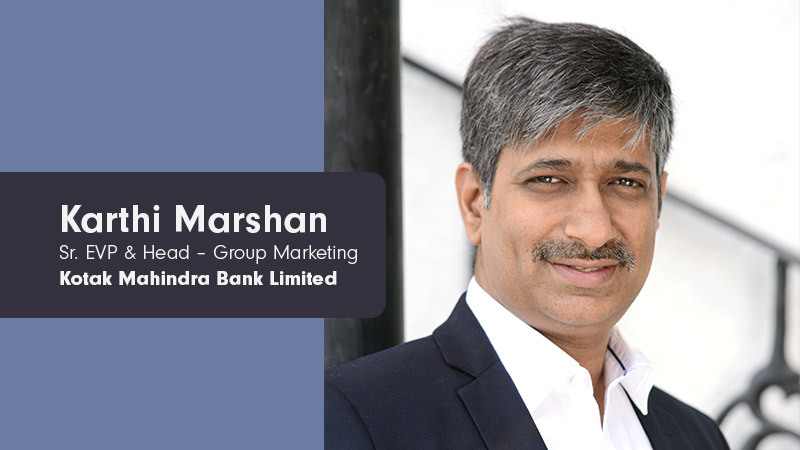 As the upcoming season of IPL inches nearer, Social Samosa, as a part of their interview series speaks to Karthi Marshan, Senior EVP and Head – Group Marketing, Kotak Mahindra Bank to understand their experience of leveraging the Indian Premier League as a marketing event. How can the marketers leverage the IPL in its new avatar differently over the previous seasons and gain maximum value? For any brand that has “Kona Kona” ambitions like us at Kotak, IPL beaming in multiple languages is an opportunity that holds great promise. This will help mass brands reach audiences that loved cricket, but passed on IPL due to the language barrier. The tighter the fit with the context in which any brand’s messaging is viewed in, the higher the chances of resonance, recall and affinity for a brand and its message. For instance, last year, we at Kotak used the Extra Innings’ anchorpersons team of Archana Vijay, Gaurav Kapoor & Samir Kochhar to launch our biggest offering ever, 811, to great success. #3– There are examples of such integrations in other global sports platforms as well, like the Super Bowl. IPL has inspired other sports leagues such as PKL, ISL and PBL. Offering brands creative & multiple opportunities to leverage sports. Nissan used trump cards based on kabaddi players to drive sales. AMFI has featured several players from the Kabaddi teams to increase awareness about mutual funds and to reach out to investors. What is your view on how can the brands ride upon the unique opportunity that sports genre offers? In the VOD (video on demand) world we are fast hurtling towards, sports, news and award shows are the only genres that still have “live” value. Of these, sports is in pole position on commanding appointment viewing even today. For that reason, any brand agenda that is topical, even temporal, can best be disseminated via sports. At Kotak, we have leveraged the property around Sixers in cricket consistently over the years, to reinforce our unique interest rate of 6% on savings accounts. #4– There is a growing focus on non-live content around IPL as fans are getting to see facets beyond just the live match. Auction, Pre/ Post shows, building team rivalries pre-match, behind the scenes etc. With additional dimensions like the above opening up, how do you think marketers can creatively leverage this to further their brand objectives apart from regular advertising? Any integration that is dynamic, topical or contextual in nature for a brand, is likely to have cut through. For instance, just like we at Kotak have used the Extra Innings anchorpersons in the past, a smart regional brand might well succeed by using popular local faces on the relevant language stream, and participate in IPL both efficiently as well as effectively. Which other campaigns as per you are some of the most impactful ones on IPL? Since your brand has invested in IPL over the years, please share the objectives of investing in IPL and how successful has this association been? What metrics did you use to measure the success of your association? I am a bit of a cynic about the value of logo placements in general. They tend to be very expensive, may aid recall, but offer no emotive layer. At Kotak, we have been very judicious in our investments on IPL. In our very first outing on IPL, we were prevented from taking the Super Sixes by another BFSI player. Undeterred, we picked the Super Fours property, which may feel like a counter-intuitive choice, given that our offering was 6%. But with the message of “Why take 4? 6 is more” we staged a hugely successful guerilla attack on the competition, and gained great recall for our offering, to boot. Similarly, we also ran a campaign naming the companies where employees had signed up to bank with Kotak, with lines like “Facebook gets 6%”. This not only enhanced street cred for the offering, it also provoked employees at many other large firms to consider Kotak. Further, this worked like a co-op campaign, where other brands that had not considered IPL as a platform got some salience. In sum, a win-win. Rapid reach, wide recall, emotional connect are some of the reasons why brands could invest in a property like IPL, or indeed the Pro-Kabaddi League, which seems to be watched better than every other sport, save cricket.